Jabra’s Extreme2 Bluetooth headset promises great noise cancelling technology, but does it deliver? Like red jeans or a mankini, wearing a Bluetooth headset is a difficult look to pull off without coming across as a total berk. While the design of the Jabra Extreme2 isn’t going to make wearing a Bluetooth headset any more fashionable it at least does promise to be light and comfortable to wear, while also helping to cut down on background noise during calls thanks to its use of Jabra’s latest Noise Blackout technology. In terms of looks the Extreme2 is pretty similar to any number of Bluetooth headsets on the market. It’s a mono headset, so there’s a single earpiece attached to a short boom. The headset is held in place on your lughole by a plastic earhook that clips around the stub of the earpiece. The boom is fairly short, measuring a tad under 5cm in length, and on the outside there’s a sort of stepped, arrow pattern etched into the plastic, which doesn’t go so far as make it look stylish, but does help the design to appear a little less boring. There are just three buttons provided for control. There’s a large button with a chrome paint job toward the back of the boom that takes care of most of the call handling duties. On the top you’ll find the volume rocker switch, while the bottom has a sliding power switch. The microUSB adaptor that’s used for charging the headset, as well as downloading software updates, is positioned at the rear. Jabra includes a second, larger earhook in the box, which may be a bit more comfortable if Big Ears is a close relation. There are also two extra ear gels for left and right handed users. The orientation is important because these ear gels, unlike the standard one, have small rubber hooks that jam toward the back of the inner part of your ear to hold the headset in place. This allows you to use the Extreme2 without an over-the-ear hook, though we’ve seldom found this method to be as secure. Comfort levels with both the ear hook and ear gels was very good, so even if you tend to wear your headset for many hours at a time – say on longer car journeys – you shouldn’t have a problem with it. Also in the box you’ll find a standard wall power adaptor for charging the headset. However, the cable on this is ridiculously short, measuring just 27cm in length, so you can’t really sit the headset on a desk while you’re charging it. Instead it just hangs down from the charger when it’s plugged into a normal height wall socket. Thankfully Jabra supplies a car charger that actually has two USB ports, so you can use it to charge another device while also topping up the Extreme2. There’s a micro to normal sized USB adaptor to fit the headset into this charger or for when you want to charge it from a PC’s USB port. This has a pivoting section in the middle, so even if there’s limited room around your car’s power plug you should still be able to angle it in place. 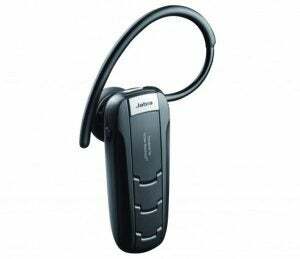 The post Jabra Extreme2 appeared first on Trusted Reviews.